Don't have a working PSU to test if it is at fault - will take machine to a repair shop later this week to see if they can test for me. CPU led on motherboard blinks for 0.1s. The CPU fan starts off only for 0.1s too. Any other ideas before I pay a visit to the repair shop and look into returning the motherboard / PSU / CPU? 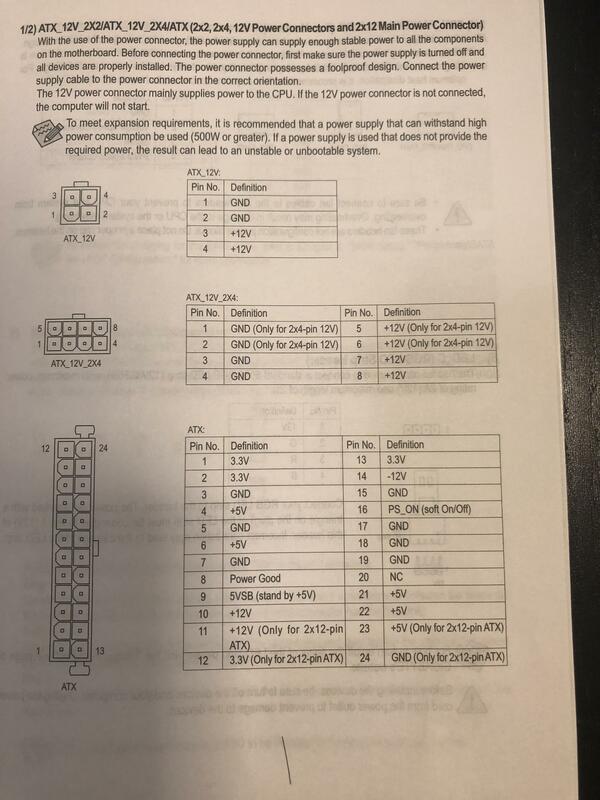 The manual shows the 8-pin ATX power connector can possibly be connected using only 4-pins. 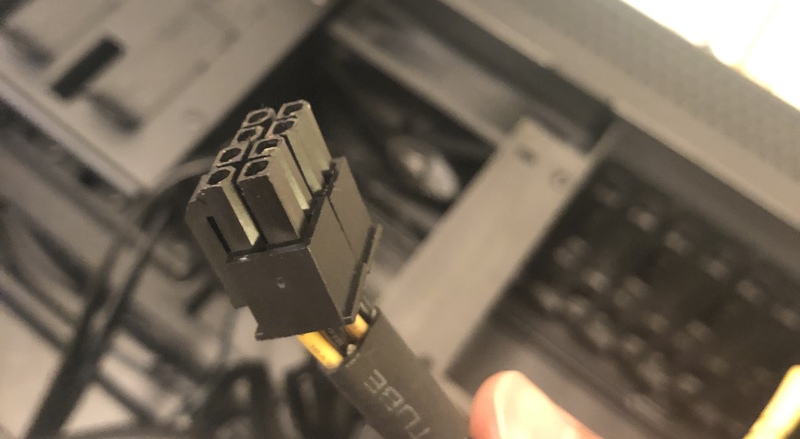 It appears you didn't read the manual and didn't connect the 4-pin ATX 12v power connector. Had this problem a while back, be very very careful. When I hooked up my old PSU my hard drive was cooked. Try with a different power supply, but unfortunately the damage is probably already done and the power supply was likely dead on arrival. Also that 8-pin you're holding is the CPU plug, should fit somewhere around the CPU fan plug. 4 pin connectors are for older CPUs, so if you have an 8-pin slot the 4-pin is unnecessary. Thanks for following up. Your hunch is right, it was the PSU. I went to the repair shop and they tried with a different one and the system booted, so luckily no damage so far.